As a wedding vendor herself, beautiful bride Erin had the unique opportunity to assemble her favourite vendors under one roof for her and Adam's special day held in their own backyard. With the help of a stellar team including stunning florals by MUM'S GARDEN and planning by KJ & CO. the guests lived a midsummer night’s dream surrounded by with beautiful details. Erin tells us, "Natural beauty surrounds our property and vineyards are right next door, so our décor simply emphasised this beauty with lots of ethereal, airy touches." "Adam and I moved to Niagara’s wine country several years ago after finding a beautiful property nestled into the escarpment. Adam is an artist and I’m a florist, and since moving to the country we’ve both set up shop on our property. While we’ve seen all of the beautiful venues that the wine region has to offer, hosting our closest friends and family on our wedding day made sense. What’s more intimate than inviting 100 people over for a party?" I couldn't agree more and these beautiful images by KATIE NICOLLE PHOTOGRAPHY make us wish we were one of the lucky guests! 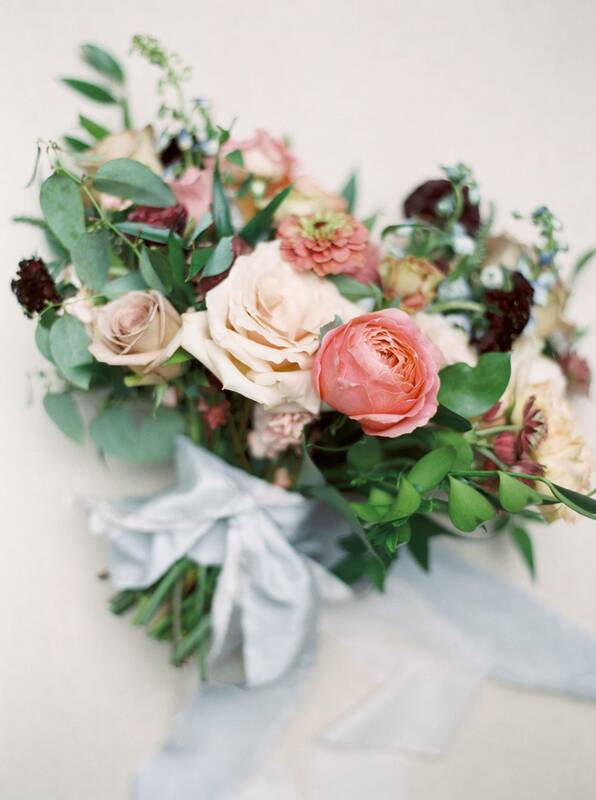 DESCRIBE YOUR WEDDING FLOWERS: Being a florist, flowers were an important part of our day. I wanted soft, muted colours to pop against the lush, green surroundings. Many of my clients request a neutral colour scheme for their florals, so I wanted to explore colour for our celebration. The ceremony space was accentuated by a large floral installation on our stately maple tree, and the wooden harvest tables from Simply Beautiful Décor in the reception tent were topped with lots of candles and organic arrangements in stone urns. The florals played so beautifully off of the delicate place cards and the blue chiffon table runners that danced in the wind throughout the evening. FAVOURITE DETAIL OF THE DAY: There were too may beautiful details to pick just one! I have to mention our absolutely stunning fabric seating chart from Flourish Calligraphy, which was so unique and the epitome of ethereal beauty. It hung on a simple copper frame, which was a subtle nod to Adam’s copper artwork. One advantage of having a private property wedding is the ability to be creative with the use of space. Two beautiful lounge areas from Tufts & Toile hosted smaller groups of people throughout the evening and were overflowing with carefully curated items. Finally, our sweets table was a work of art! The Dessert Room did such a beautiful job carefully curating the selection of cookies, macarons, and other treats that guests enjoyed late into the evening. WHAT ADVICE WOULD YOU GIVE OUT TO A COUPLE PLANNING THEIR WEDDING? When in doubt, hire a planner! We knew that we were in good hands with friend and wedding planner Krista Olynyk and her team at KJ & Co., so once our day rolled around we could relax and enjoy. We decided to get ready together at home, because it’s where we feel most comfortable. This decision meant we were not only stress free, but we were lucky enough to watch our property transform into a wedding venue over the course of the day. ANY OTHER DETAILS THAT HELP TELL THE STORY OF YOUR DAY? 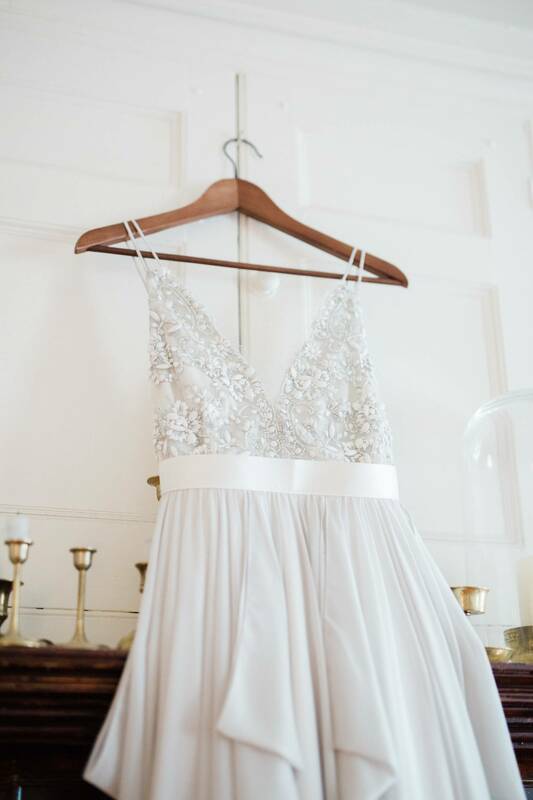 Every last detail of our day was beautifully captured by our photographer Katie Nicolle, whose work exudes romance – a feeling we wanted to convey throughout our day. 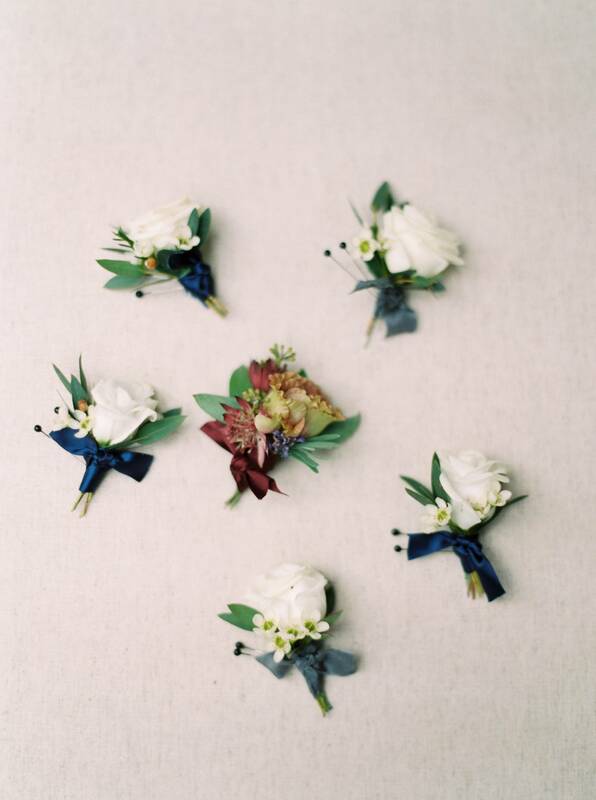 We fell in love with Katie’s work and her photos tell the story of our day so well! IS THERE ANYTHING YOU WOULD CHANGE OR DO DIFFERENTLY? We wouldn’t change a thing. Our wedding felt magical. I think one of our guests put it best when she said, “At one point I looked out at the sun shining golden and green on the vineyards and thought life couldn’t be better.